Brief Physical Description: Sharon has a slender build, she has dark brown hair and hazel eyes. Nothing quite stands out about her body, other than that she has some small scars on her hands from when she's previously cut her fingers by accident. 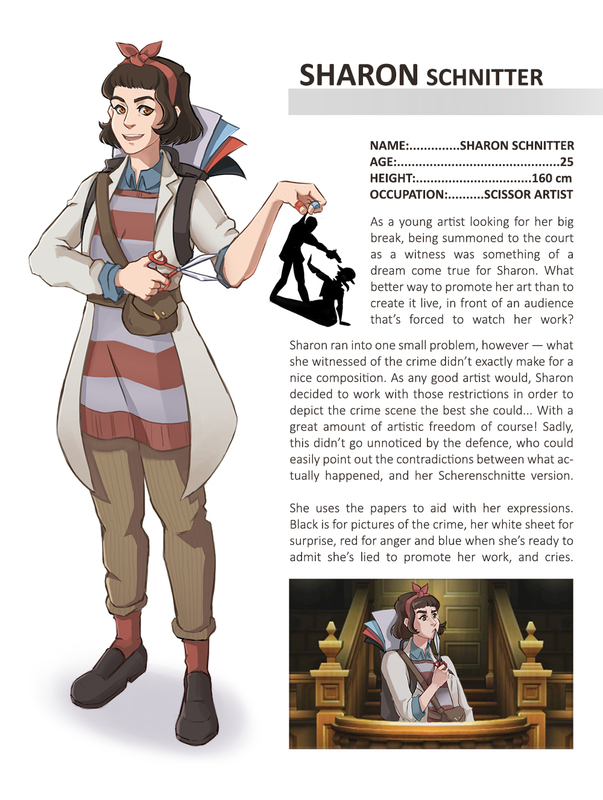 Brief Personality Description: As an artist, Sharon takes great pride in her work and wants to share it with the world. Because she's young and inexperienced, sometimes she makes bad judgement calls that end up causing trouble for other people. She's loves what she does and shows her art to everyone, coming off as a bit cocky in the process. In reality, she's a bit clumsy but all in all an excitable and kind-hearted person. Brief Background: As a young artist looking for her big break, being summoned to court as a witness was something of a dream come true for Sharon. She saw it as the perfect way to promote her art - after all, people would have no choice but to watch her perform her craft on the stand. Being witness to what seemed like the final moments of a murder didn't have the greatest composition, it turned out. To showcase her artistic skill, she decided to take some liberty with what she saw and craft it into a nice piece of art instead. After the defence pointed out the contradictions in Sharon's version of events, Sharon admitted that she changed some crucial details about what she saw in order to make her works look nicer. - I really wanted to make a character based on Scherenschnitte! Seemed like it could make for a creative witness. Her name Sharon Schnitter is based on the name of the art. - She acts like she's a professional, but as evidenced by the band-aids and small cutting scars on her fingers, she still has a lot to learn. 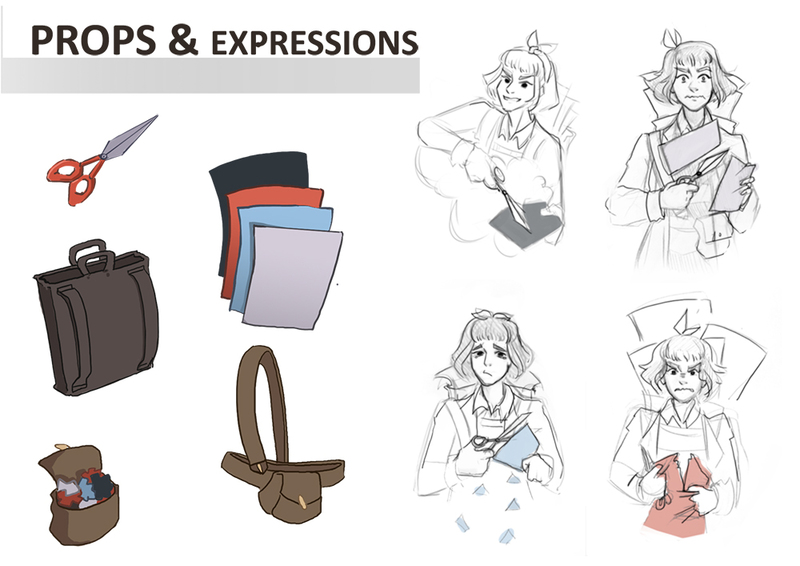 - The different pieces of papers are used to add to her expressions, as shown in the expression sheet. Thought this would be a nice concept for animations. - In a similar fashion, the ends of the ribbon tie on her head change based on her expression as well. Droopy when she's sad, long and pointy when she's surprised, etc. - She keeps most of her paper scraps in a little pouch because she doesn't want to litter. Request served using 7 queries. Page took 0.008 s to generate.